Thank you, Lord, for my life, my wife, family, friends, my job, my health, my body. Thank you that you've numbered my days. Whereas when I was younger that truth seemed limiting, these days it's liberating. As the years claim their increase on me, so does my dependence on you. Thank you for another year to try and live like you and love like you. Your grace amazes me. And thank you for enough health to keep fighting the good fight. Thank you that the fire you lit in my belly is still burning. Again, your grace still amazes me. Where some may think that faith grows when physical goals are achieved, my faith in you is increasing with every goal I can't reach. Please bless each reader. Please bless their health and the health of their loved ones. Here's to 47, Lord. You gave it to me. I'll do my best to give it back. Help me grow in your grace. So very Amen. Birthday Dedication: For some of you, this makes ten; 10 years of seeing health and illness through the Gospel’s lens with me. I was 37 years old when I wrote my first devotion. Wow. In some ways I feel younger than the math would report, but in other ways I'd say the math seems just about right. 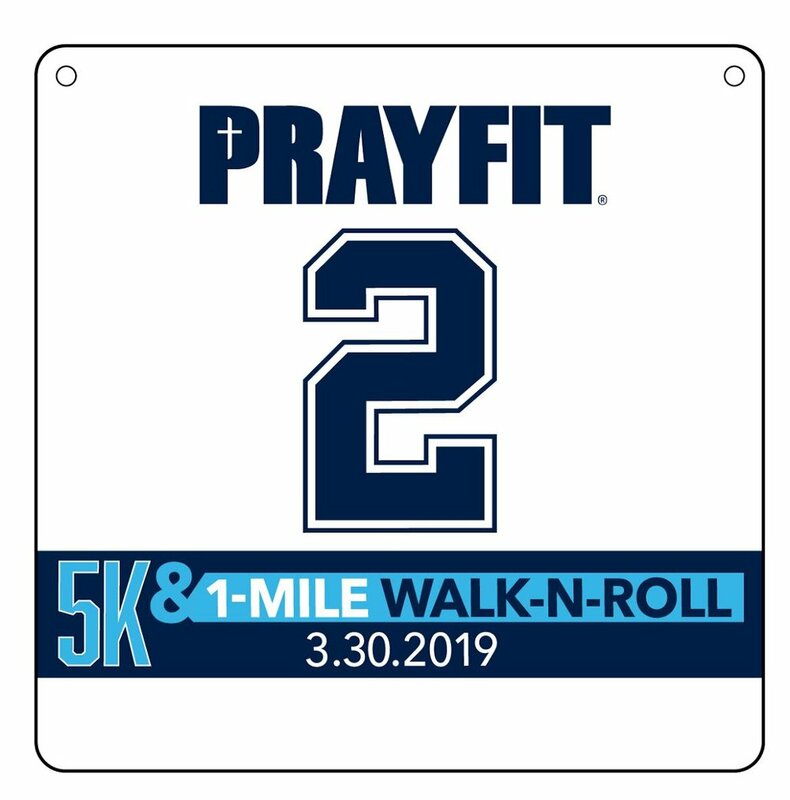 Like I did last year, I’m dedicating my birthday to the PrayFit 5K event on March 30, but I need your help. For my birthday, I'm hoping 47 people will sign up VIRTUALLY for this event. So, whether you’re in Texas or Florida, Oklahoma or New York City, you can participate. You can walk your neighborhood, jog on the treadmill or rally some friends for a group run, and all of the proceeds go to benefit kids and families impacted by disabilities.